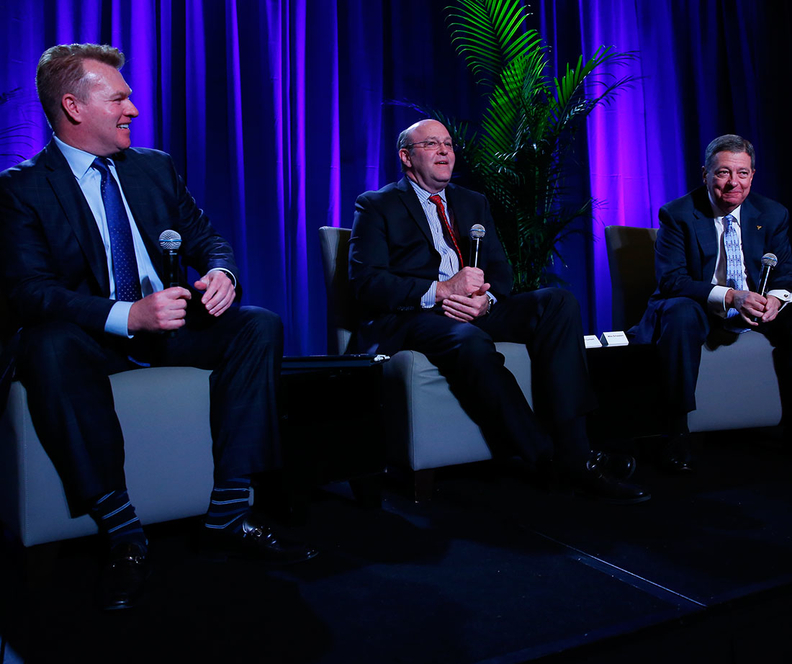 Burke, Cantwell and Schatzlein (left to right) on stage at the Nashville Health Care Council. That meeting is being organized by the Center for Medical Interoperability to promote private-sector solutions to the problem that government can ultimately support rather than direct, Schatzlein said. Center CEO Ed Cantwell moderated today's panel. Schatzlein, who oversees 40 hospitals for Ascension Health, said the government's $30 billion electronic records initiative helped providers across the country improve their systems, but they still lack easy connectivity because they are built on disparate platforms developed by different vendors. “We still didn't get a national medical record,” he said.